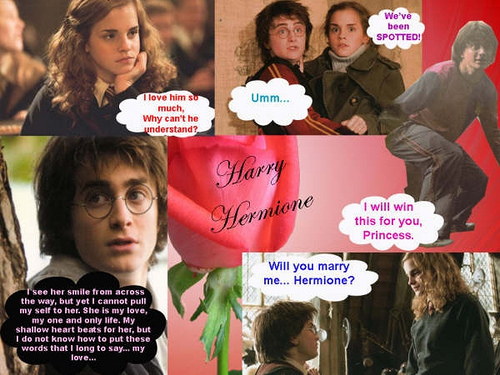 cute harry and hermione pics. . Wallpaper and background images in the ハリー＆ハーマイオニー club tagged: hermione harry comics. This ハリー＆ハーマイオニー fan art might contain 新聞, 紙, 雑誌, タブロイド紙, ぼろ, タブロイド, 布, 看板, ポスター, テキスト, 黒板, サイン, アニメ, 漫画, マンガ, and コミック.